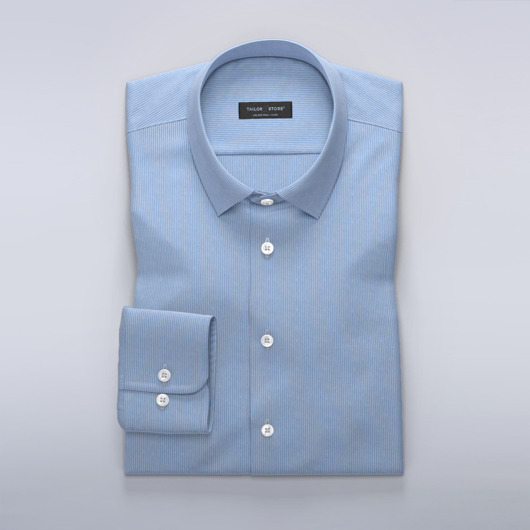 Stylish pale blue business shirt with elegant mother-of-pearl buttons. Perfect for the office or a smart event. Order our suggested design or customize it to your preference. Made to your measurements.